It was really wonderful to be a part of Stradella’s stunning oratorio “San Giovanni Battista”, presented by ARTEK. The masterpiece was conducted by Gwendolyn Toth and joined by Italian violinist Enrico Gatti. Gwen Toth is always a delight to work for, and Enrico Gatti was excellent. Thank you all for coming! At the end of this week, I will be playing the lead role of St. John the Baptist in Alessandro Stradella’s masterpiece, “San Giovanni Battista”. 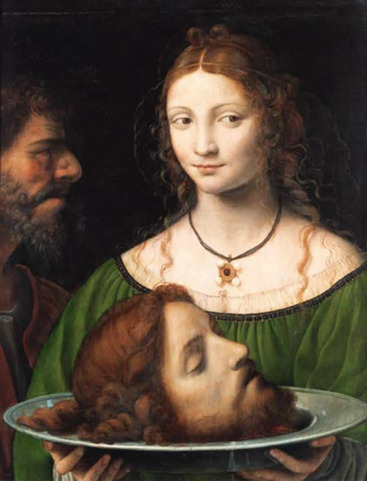 This timeless biblical drama of Salome, St. John the Baptist and Herod will be presented by the superb singers and instrumentalists of ARTEK at the Italian Academy of Columbia University in NYC. There are only two performances, so don’t miss them! The tickets are $40 for regular seats and $20 rear seats. ($30 and $10 for students and seniors). To order click here. Last week, I performed the title role in a new opera called “Tesla in New York”, written by Jim Jarmusch and Phil Kline. It is a really fascinating story of the mysterious turn-of-the-century genius who helped invent radio. The in-progress concert version was presented at the Hopkins Center for the Arts in Hanover, NH. Click here for more info! You are currently browsing the Ryland Angel blog archives for April, 2013.